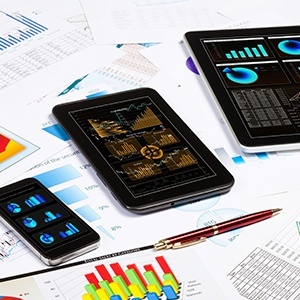 In a previous blog, I wrote about unstructured data in the healthcare industry and EHR systems. Unstructured data can consist of explanations of benefits, audio voice dictations, handwritten and typewritten notes, diagnostic images, e-mail messages and attachments, text messages, medical claims and more. Although it can sometimes be hard to access programmatically, unstructured data often includes information that is a valuable part of a patient’s medical record and clinical history. Again, by being able to analyze unstructured data along with its structured counterpart, clinicians can provide a more complete picture of a patient’s history, diagnosis, treatment and outcome. 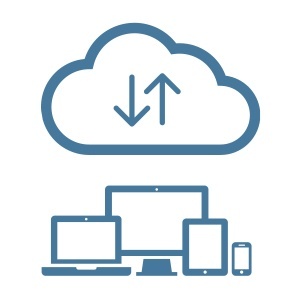 It can help maintain data consistency, allow for combined qualitative and quantitative data and can be highly valuable when used in a research capacity. 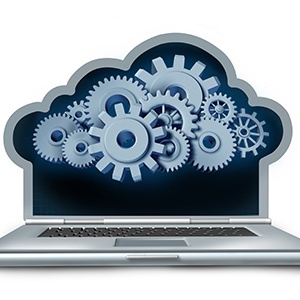 According to analysts from Merrill Lynch, Gartner and IBM, unstructured data accounts for approximately 80 percent of the data in business organizations. 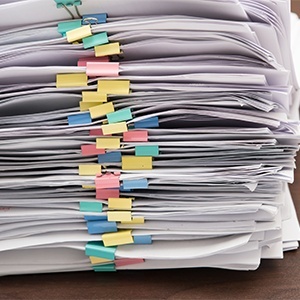 Similarly, the Health Story Project estimates that 1.2 billion clinical documents are produced in the U.S. each year with about 60 percent containing valuable patient care information in an unstructured format. 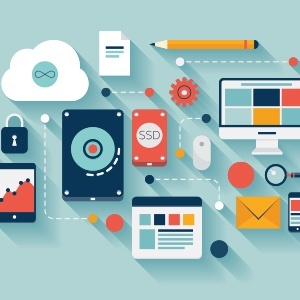 So what exactly is unstructured data? It’s the kind of data that usually has to be captured, read and analyzed by a person instead of a machine and is stored as free text, making it difficult for processing by a computer. In the healthcare industry, unstructured data includes explanations of benefits, audio voice dictations, handwritten and typewritten notes, diagnostic images, e-mail messages and attachments, text messages, medical claims and more. 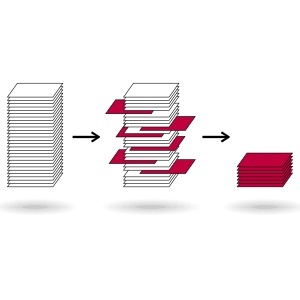 Radiology reports are responsible for a vast amount of unstructured data. Healthcare providers across the country are continually focused on quality improvement. The U.S. Health Resources and Services Administration defines quality improvement as systematic and continuous actions that lead to measurable improvement in healthcare services and the overall health of targeted patient groups. Furthermore, U.S. Health Resources and Services Administration defines quality improvement as systematic and continuous actions that lead to measurable improvement in healthcare services and the overall health of targeted patient groups's a direct correlation between the level of improved health services and the desired health outcomes of individuals and populations. The National Quality Forum (NQF) notes that studies have indicated that American adults receive recommended care only about 55 percent of the time and that 30 percent of healthcare spending is wasteful and produces no value to the patient. The organization highlights the four key principles of a successful quality improvement program as QI work as systems and processes, focus on patients, focus on being part of the team and focus on use of the data. The use of technology in healthcare has produced many benefits, but it also presents some risks. One of the biggest risks healthcare organizations face using technology to gather patient data is a data breach. Five of the eight largest healthcare cybersecurity breaches since 2010 occurred in 2015, making healthcare the top industry for cyberattacks. 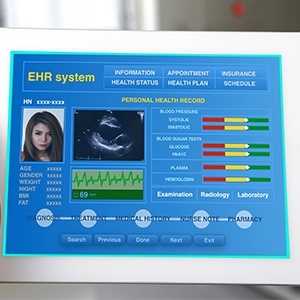 So what can be done to prevent security breaches in healthcare? Many healthcare organizations are looking to cybersecurity to help protect their data. 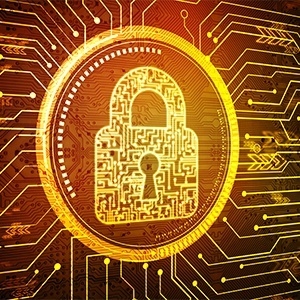 Cybersecurity is the state of being protected against the criminal or unauthorized use of electronic data or the measures taken to achieve this. The United States government passed the Cybersecurity Act of 2015 to give companies the ability to share cybersecurity information with federal agencies while providing liability protection and antitrust exemption for those sharing information. “The State of Cybersecurity in Healthcare Organizations in 2016” report released by ESET® noted that only half of healthcare organizations have an incident response plan in place in the case of a data breach, even though the healthcare industry experiences at least one cyberattack per month. According to the PwC Health Research Institute, preventive cybersecurity costs approximately $8 per patient record, while the estimated cost of a major breach is $200 per record. The total operating expenses per operating room (OR) is $1.2 million. 765 cases are performed per OR annually, with 4.6 cases per day. 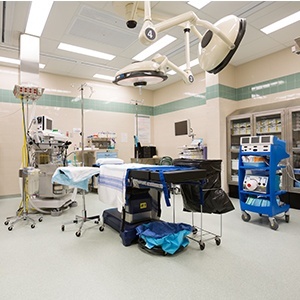 Median operating room time per patient encounter is 50.2 minutes. It should not be a surprise that many hospital ORs do not operate at the highest level of efficiency. Producing the desired outcomes with minimum waste of time, effort and skill is often the biggest challenge perioperative service areas face in the hospital. Surgeons, nurses and staff are busy tending to patients and have to coordinate with other physicians and clinicians to schedule time in the OR. Hospital administrators and leadership are often looking for ways to improve efficiency and increase revenue through their organization’s ORs. Just as healthcare analytics bring focused data to other areas of a healthcare organization, they can (and should), be applied to optimize performance in the OR.